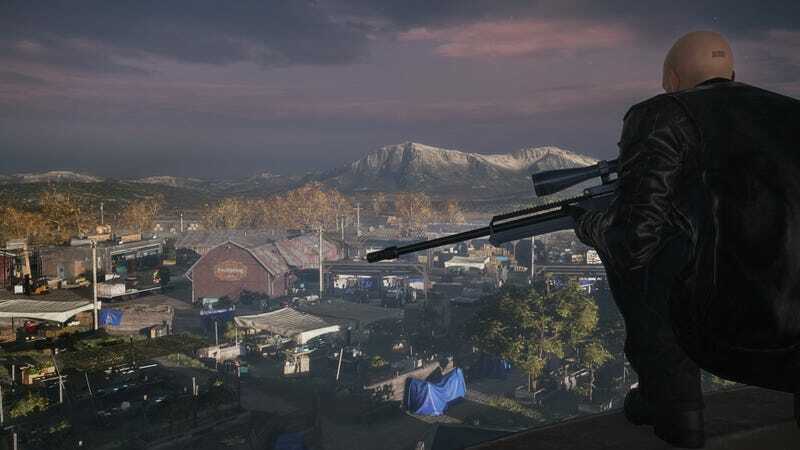 Hitman released its fifth episode today, dropping Agent 47 in Colorado to infiltrate a farm compound turned militia training facility. This game has some amazing NPC dialog. But what do these NPCs think about the US presidential election? The entire episode plays upon the imagery of the siege of the Malheur Wildlife Refuge in Oregon earlier this year, wherein armed militiamen held the land for 40 days, spurred on by the belief that the federal government lacked the authority to claim public lands. I don’t know much about this fictional fellow the militiamen are talking about but he sounds a lot more presidential than the guy from last night’s debate, that’s for sure!